Hollande on Friday said during a trip to India that French jet manufacturer Dassault Aviation had been given no choice about its local partner in a 2016 deal with the Indian administration. PARIS: The French government said Sunday it feared damage to its relations with India after former president Francois Hollande stirred controversy about a major deal to sell fighter jets to New Delhi. Hollande, who left office in May last year, said Friday during a trip to India that French jet manufacturer Dassault Aviation had been given no choice about its local partner in a 2016 deal with the Indian administration. The n ationalist government of Narendra Modi agreed to buy 36 Rafale jets from Dassault, which announced afterwards it was partnering for the project with billionaire Anil Ambani rather than India's public defence conglomerate HAL. Hollande's announcement that Dassault "did not have a say in it" added fuel to claims from India's opposition that the New Delhi government had intervened to help Ambani, who is a supporter of Modi and hails from the same state as him. "I find these remarks made overseas, which concern important international relations between France and India, do not help anyone and above all do not help France," junior foreign minister Jean-Baptiste Lemoyne said Sunday about Hollande. 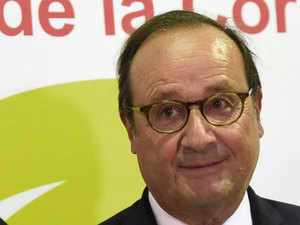 H ollande made the comments to defend himself from accusations of a conflict of interest because Ambani's Reliance conglomerate had partially financed a film produced by his girlfriend, Julie Gayet, in 2016. Hollande's comments were front-page news in Indian newspapers on Saturday and it was the top trending topic on Twitter. Rahul Gandhi, head of the main opposition Congress party, who is seeking to replace Modi and his rightwing Bharatiya Janata Party (BJP) in elections next year, went on the offensive. P ropdial helped 500+ NRIs to secure their property!